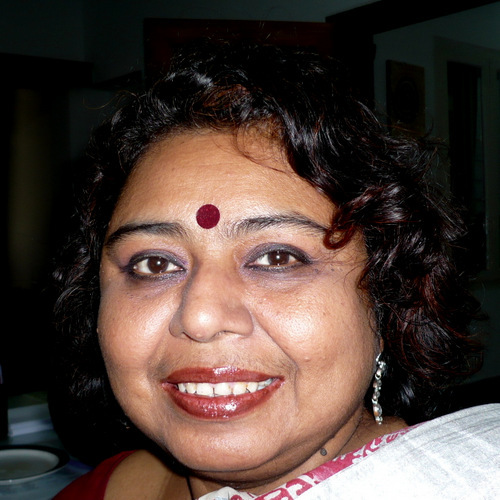 Dr. Meghna Guhathakurta taught International Relations at the University of Dhaka, Bangladesh from 1984 to 2007. She is currently Executive Director of Research Initiatives, Bangladesh (RIB) a research support organized based in Dhaka, which specializes in action research with marginalized communities. Dr. Guhathakurta graduated from the University of Dhaka and received her Ph.D from the University of York, UK in Politics. Her field of specialization has broadly been international development, gender relations and minority politics. She is well published in migration trends in Partition histories, peace-building in post conflict societies and minority rights in South Asia. She is also Associate Editor of the Action Research Journal published by Sage and the Journal of Social Studies published from the Centre for Social Studies in Dhaka.